Eddy Cue is a huge fan of Kevin Durant (not pictured here) and the Golden State Warriors. The life of Kevin Durant is set to be the inspiration for Apple’s next major TV show. Apple has been scooping up TV shows like crazy the last few months and the latest project to get the iPhone maker’s thumbs up is a show that will explore Durant’s early life along with the world of Amateur Athletic Union (AAU) basketball the players, families and coaches involved. The series, Swagger sounds like it will be similar to Friday Night Lights only with basketball as the lens to view its characters’ lives through. The show will be produced by Ron Howard and Brian Grazer’s Imagine Television, the same producers that made Friday Night Lights a hit. Grazer and Durant started talking about the TV show at Google’s annual summer gathering of power players. 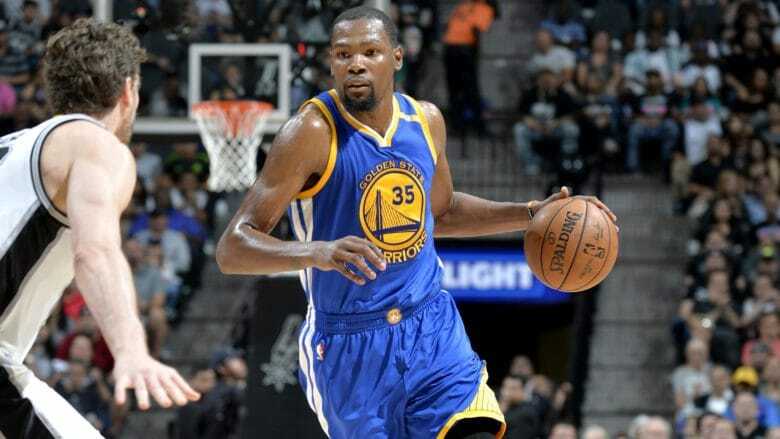 According to a report from Deadline, Durant told Grazer stories of being a 12-year-old basketball phenom in the Baltimore area that was courted by apparel brands for quick cash. Durant’s Thirty Five Media will be listed among the producers of the series. Reggie Rock Bythewood, who wrote the Notorious BIG biopic “Notorious” is set to write and direct.